It features a digital camera for capturing photos along with facility to play music on wireless FM and supports Internet connection as well. The phone comes with an extensive storage capacity for saving up to 500 contacts and 200 SMS. 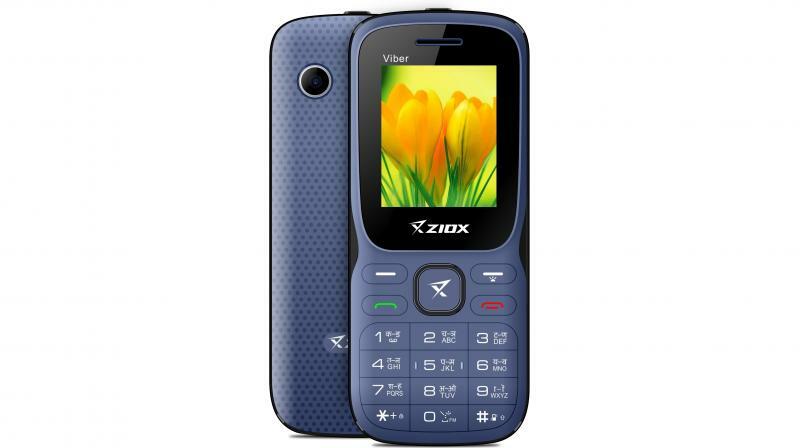 Ziox Mobiles has launched its new feature phone “Viber”. Facilitated with the auto-call recording feature, Viber comes with a display screen of 1.8 inches which makes it easy to hold in your palm. The device is enabled with multi-language support allowing it’s users to communicate and type in their mother- tongue. It features a digital camera for capturing photos along with facility to play music on wireless FM and supports Internet connection as well. The company says it has amazing sound quality for playing multimedia. Moreover, it comes with Bluetooth connectivity to allow you to share your files, photos, and songs across. The phone comes with an extensive storage capacity for saving up to 500 contacts and 200 SMS and a 1000mAh Li-ion battery assists in keeping it going. With Multi-language support, the product comes in Black colour option. It is available with retail stores across India at the price of Rs 950.